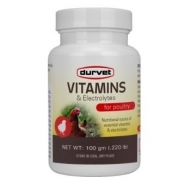 A water soluble premix of essential vitamins and electrolytes formulated to be a nutrient supplement for use in all classes of poultry species. Ideal for young chicks. 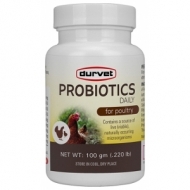 Durvet Probiotics Daily is a daily source of avian specific probiotics to maintain a natural, healthy gut microflora; plus essential vitamins and electrolytes. A nutritious, wholesome complete feed for young laying chickens from hatch to laying age (18-20 weeks). 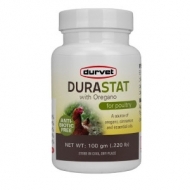 This complete feed is certified organic by the USDA and is made with non-GMO ingredients. 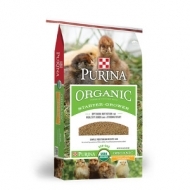 Purina® Organic Starter-Grower feed will provide your birds with the proper levels of energy, protein (18%), vitamins and minerals that are perfect for a strong start and early hen development. Available in crumble form. Convenient One-Step Cleanser & Wound Dressing. 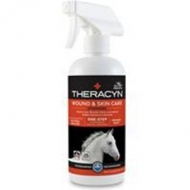 Cleans Cuts, Sores, Lacerations, & Skin Irritations. Proven Safe Helps Promote Natural Healing. Exclusive Microcyn Technology, No Sting Formula, and Veterinarian Recommended. 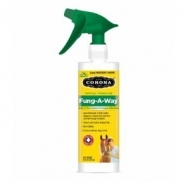 Topical fungicide for ringworm in horses and other fungal infections. Prevents build-up of film, residue and natural contaminants. Helps ensure clean water. Effective for use in glastic, galvanized and heated waterers. 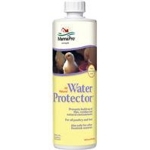 Also safe for other livestock waterers. Made in the USA. 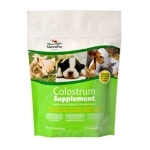 Best mixing colostrum supplement on the market. Feed first to provide needed proteins, vitamins and minerals. Baby animals are adorable in every way, and the highlight of this time of year in the barn. But they are also very fragile, especially during those all-too-important first hours of life. We all want to give our babies the best chance to grow into healthy adult animals, and a key first step toward that goal is making sure they receive high-quality colostrum immediately after birth. 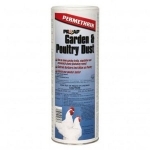 The Prozap Garden & Poultry Dust is a ready-to-use 2 lb. shaker with .25% Permethrin. Use it on home garden fruits, vegetables and ornamental plants (including roses), as well as poultry. Universal milk replacer, exclusive "magic crystal" technology produces the best mixing product on the market today. Multi-purpose all milk protein nursing formula. 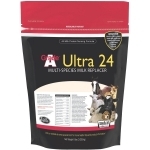 For use in calves, foals, goat kids, lambs, baby pigs, fawns, elk calves, llama crias, puppies and kittens.